At its fourth and last meeting of 2016, the ALLEA Board came together in Belgrade from 1-2 December, on the kind invitation of the Serbian Academy of Sciences and Arts (SASA). 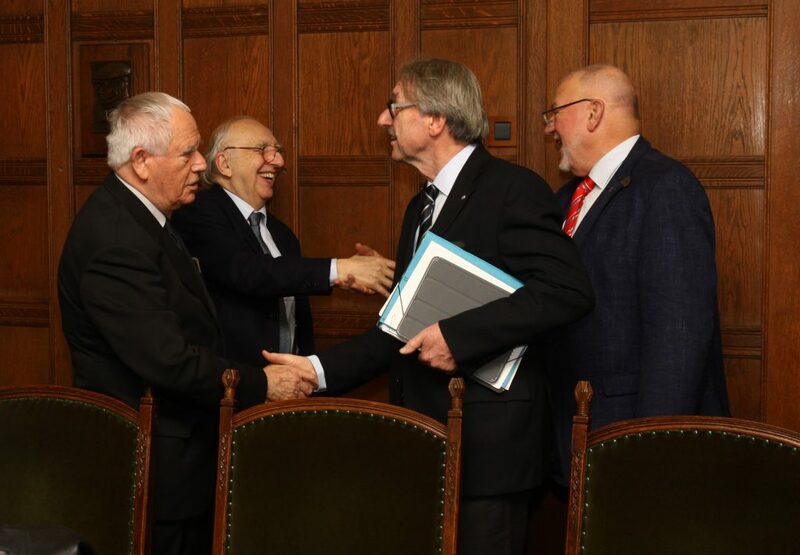 The ALLEA meeting was held simultaneously to the international symposium “National Academies of Sciences and Arts in the 21st Century”, organised by the Serbian Academy as part of a series of events on the occasion of its 175th anniversary. In the meeting, the members of the Board discussed the ongoing activities and future initiatives of ALLEA’s working groups, the development of the SAPEA project (Scientific Advice to Policy by European Academies), and the latest deliberations on prominent upcoming events, including ALLEA’s General Assembly 2017. In a side meeting between the Board of ALLEA and SASA, the President of the Serbian Academy, Vladimir Kostić, gave a welcome address to the ALLEA Board and highlighted the relevance of regional cooperation amongst the academies, particularly in the framework of Western Balkan initiative and through the Danube Academies Conference. ALLEA President, Günter Stock, provided an overview on the core features and activities of the European federation of academies and expressed his thanks for the hospitality and for combining the ALLEA Board meeting with the international symposium. The symposium featured lectures to re-think the role of academies for the future. ALLEA President Günter Stock participated in these discussions, jointly with academy delegates from Balkan and Central European countries, inter alia Austria, Macedonia, Montenegro, and Slovenia. In the symposium’s afternoon session, Professor Günter Stock gave a speech on the role of academies in the course of history. He delved into the responsibilities and principles of academies in the past and present, and pointed to current and emerging threats to science. Particularly he drew attention to challenges faced by scientists and scientific systems and called on academicians to engage with the public and promote a rational discourse.